Poldark, which has already become a sensation in the U.K., is nearing its conclusion on PBS's Masterpiece in the U.S. 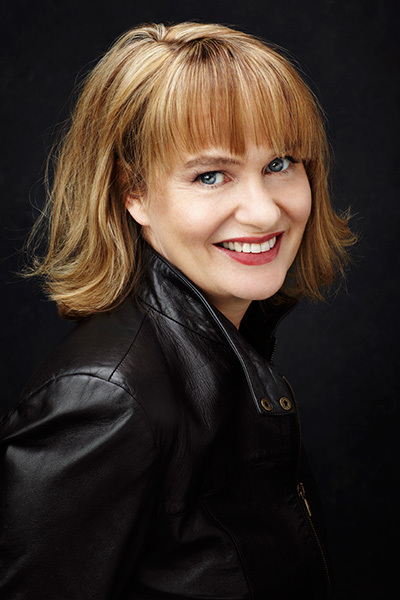 But while Ross Poldark will disappear from American screens after Aug. 2, one aspect of the production will continue to resonate with viewers: Anne Dudley's masterful, evocative music for the eight-part series. The newly issued Sony Classical album has just debuted in the top 10 on Billboard's classical-crossover chart, and in the top 20 on its classical-album chart. Dudley – an Oscar winner for The Full Monty, producer of the music for the recent Les Miserables film, and a BAFTA nominee for her charming music for another PBS classic, Jeeves & Wooster – found her initial inspiration in the folk traditions of windswept Cornwall, where the action of Poldark takes place. "When I heard that they were going to be doing a new adaptation of Poldark, I was immediately interested," Dudley said by phone from London. "I didn't know the original series [the 1970s BBC production] very well, but I was certainly aware of it. I knew it was set in Cornwall, that it had this terrifically charismatic lead character, and it was set in this turbulent period in history." Director Edward Bazalgette "wanted Cornwall itself to play a character in this adaptation," Dudley said. "In the 1780s, Cornwall was really the wild west; as soon as you crossed the Tamar River, you were in this wild, desolate place, really cut off from the rest of civilization." She investigated the folk songs of the region, as collected by a 19th-century parson in a book titled Songs and Ballads of the West. "I didn't use any of the tunes themselves," Dudley explained, "but I did use modality, the essence of the melodies. And I wanted to find a great sound for the character of Ross Poldark. I have a friend who is a terrific violinist, Chris Garrick. He describes himself as a 'non-classical violinist.' I've been dying to find something really good to work with him, and I thought, this is it." Garrick plays not only traditional violin but also a five-string hybrid instrument that can play in the viola range, offering darker tones. "He has great character in his playing," Dudley said. "He plays with very little vibrato sometimes, he does some nice portamenti between the notes. I loved the idea of this folky violin rising up against the more classical undertow." Solo violin as the primary voice of a score is practically unheard of in today's television landscape. "All credit to the people at Mammoth [the production company], they were very supportive," she said, especially after bringing Garrick into the studio to demonstrate what they had in mind. "This will give it great character; it won't sound like anything else; and it will have a heart," she told the producers. Dudley also credits Debbie Horsfield's scripts: "She left a lot of room for music. It's not wall-to-wall dialogue by any means. There are a lot of landscape shots, lots of cutting between scenes where people are doing things without dialogue. I don't think I've ever done a TV piece which left so much room for music. In that respect, it was a joy to work on. Music was not 'confined to the boundaries,' it was a significant factor in the whole piece. We knew it would be." As a result, Dudley composed an average of 25 to 30 minutes of music per episode. She had wonderful story material to work with: "Ross Poldark [Aidan Turner] is very much the flawed hero, but you're really rooting for him, because he's such a maverick. And then Demelza [Eleanor Tomlinson], who starts off as this sort of urchin, she's like an unpolished diamond, with this incredible heart. She becomes more important as the piece goes on; she and Ross together are this incredible force of nature. The whole thing about Poldark is the amount of conviction that everyone brought to it." 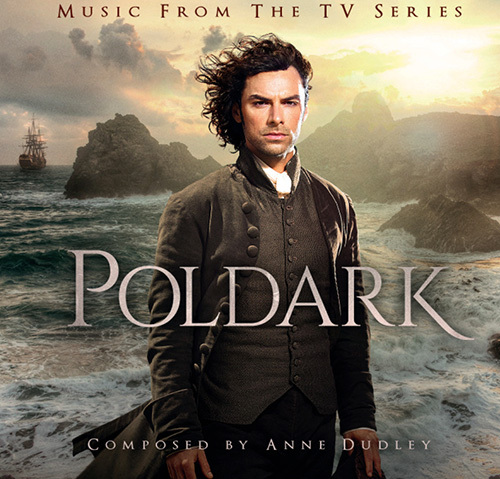 That conviction is apparent in Sony Classical's new 52-minute distillation of themes from the Poldark score, reflecting moods that range from melancholy to romantic, dramatic to hopeful. In addition to the solo violin, Dudley wrote a prominent part for harp, plays the piano herself, and conducted a 22-member string section from the Chamber Orchestra of London. There is also, interestingly, an occasional, very subtle, electronic element. "You want people to identify with the characters – all the passion, all the drama, has to feel like it could happen to you." The idea was to make the music a bit more "contemporary." Adding to the Cornish musical colors is "Medhel an Gwyns," an original song sung by Eleanor Tomlinson that opens the eighth and final episode of the series. It was penned by Cornish folk-music specialist Mike O'Connor (who set to music some of novelist Winston Graham's lyrics for earlier episodes) and arranged by Dudley. "I was delighted that we were able to use the ancient Cornish language on prime time TV," she said. Dudley is amused that Poldark fans have been writing her to complain about the album choices, as in "Why haven't you used the theme that occurs in episode 5, 20 minutes in, it's such a lovely tune?" She adds, with a laugh: "It's really encouraging that people are listening so hard!" The composer reveals that she has written a virtuoso piano arrangement of her main Poldark theme and has offered it to a major piano soloist. If that performance materializes, there may be a second Poldark soundtrack, with that track leading off the new album, Dudley suggests. The BBC has also commissioned a second Poldark series. Dudley is expected to return for the next go-round of the adventures of Ross Poldark.